for $119,900 with 3 bedrooms and 2 full baths. This 1,269 square foot home was built in 2002 on a lot size of 2.0380 Acre(s). 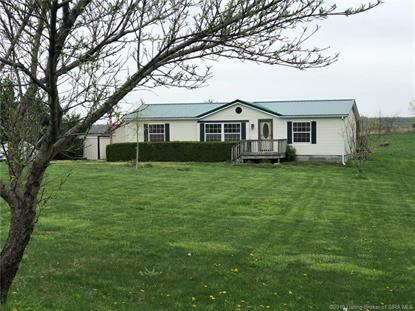 Country living on 2.038 acres with great views of farm land around you at this charming 3 bedroom, 2 bath home. Kitchen island, laundry/mud room, and all bedrooms have big walk-in closets. Lots of improvements to this home....metal roof less than 2 yrs old, several of the appliances & hot water heater are less than 2 years old, covered porch off the back of the house with a build in smoker to stay. Home still needs a little TLC but seller is willing to give allowance for repairs. The property lines joining the neighbors are lined with pine tress for additional privacy. This property is full of fruit tress - cherry, apple, pears, peaches and blackberry and blueberry....great garden spot as well. Just 15 minutes South of Corydon. Schedule your private showing today.